Six years ago, Peterson Khumalo waved goodbye to the comfort of a regular office job, for a less certain future as an entrepreneur. 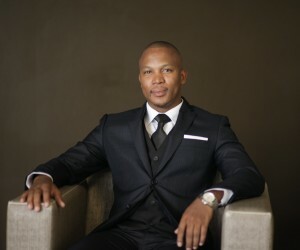 Today, his accounting and auditing firm is investing much of its resources into mentoring SMMEs. He shares his motivation for going the entrepreneurial route. Asked to share a top tip for small businesses to succeed, chartered accountant [CA(SA)] Peterson Khumalo replies without missing a beat, “SMMEs must forfeit sleep to have any hope of success.” The managing director of Khumalo and Mabuya Chartered Accountants (KnM) speaks from experience. In the space of six years, KnM has gone from a handful of clients to a company that has four functional divisions, including; SMME, audit, taxation and advisory , and business development. Today, the firm employs 35 permanent employees, 15 of them qualified CAs(SA). Remarkable growth: by anyone’s standards. Asked about the moment when he opened the doors of his business; Khumalo responds with the assurance of a self-made man. Khumalo spotted a huge gap in the market in the small business space that few other Small Medium Practices (SMPs) are providing. “First world countries consider SMMEs the backbone of the economy,” says Khumalo. He doesn’t see enough evidence of this in South Africa. This bothered him, so he has been working towards changing it. The higher the risks, the higher the rewards,” says Khumalo. “I would like to see everyone—banks, government and the entire private sector—playing their part in helping SMMEs become sustainable. SMMEs need for mentorship is borne out by findings of the annual SMME Insight Report conducted by the South African Institute of Chartered Accountants (SAICA) in 2016. SMMEs were asked whether they would be interested in taking part in an industry led enterprise development programme. The SMMEs almost unreservedly said, “Yes”. “Cash flow management is also one of the biggest pitfalls facing SMMEs. How they view that money,” says Khumalo. SAICA’s 2016 SMME Insight Report concludes that as far as SMMEs are concerned, cash flow related problems stem from an inability to manage cash flow and debtors as well as an inability to manage administrative and business processes. KnM aims to become the biggest professional service provider to SMMEs in the country. The firm’s latest milestone is indicative of growing recognition in the market for the good work they are doing. To help SMMEs overcome some of these pitfalls, earlier this year KnM joined the SAICA’s J.P. Morgan flagship programme to assist SMMEs. “The 18 month programme focuses on two challenges in South Africa; providing relevant work experience and skills to newly qualified and unemployed accounting graduates and addressing the high failure rate of SMMEs, by providing them with mentorship regarding internal controls, risks management and reporting,” explains says Mandisi Nombembe, project manager for SAICA nation building. At the end of the programme the graduates assigned to them, SMMEs will be equipped with the skills to do financial modelling, internal controls and risk governance,” Nombembe continues. KnM signs off accounts for the acounting graduates who are working with the SMMEs and who gain valuable work experience into the bargain. “I have personally invested in divisional capacity in SMMEs over five years, and KnM has invested over three years. When the stars decided to line up we were in alignment with the SAICA J.P. flagship project. SMMEs are the future,” says Khumalo.